Meg and Harry have retreated to a remote cottage on the northeast coast of England to recuperate from the mental and physical stress of losing their baby. While exploring the ancient coastal landscape, Meg chances upon eighteenth-century quarry mines reclaimed by nature. But birds and butterflies aren't all she finds. When a young woman goes missing, Meg must try to make sense of her many bizarre experiences: muddy handprints on the walls, savage dreams, and a visit from a stranger who may not be what she seems. Until the last couple of years I was more familiar with Gary Fry’s work at his independent press, Gray Friar Press, but since of late he seems on the role with his writing as well I, as an admirer of his contribution to publishing, felt only natural to dive into his fiction too. And for a while there is plenty to choose from, if we are looking over the last two years we can see that Gary Fry published a collection of short stories, three novellas and a novel, while for the next two years he is due to release another collection, three more novellas and two new novels. And the freshest of the already released fiction bearing the signature of Gary Fry is “Lurker”, a novella published by DarkFuse. After losing their baby, at Meg’s desire, she and her husband, Harry, move to a remote propriety on the northeast coast of England. But this seems to be the only common thing they share after the loss of their baby. Harry is mostly away because of the job he still has in their former city while Meg is left to cope with the grief on her own. Meg’s solitude is accentuated by the remoteness of her new location, on her walks she is as solitary as she is at home. But if Meg shares the solitude with the landscape, the area’s peacefulness and calm isn’t match by her interior turmoil. Eaten by sorrow Meg becomes troubled by the old quarry mine she discovers on one walk and the references she finds to it in an obscure booklet from the local library. Gary Fry meticulously explores the entire range of Meg’s emotions and follows carefully each new turn her train for thoughts takes. Every little stress Meg suffers, each of the new things finding their way into her tormented feelings seem to have a catastrophic effect on the mind. But Gary Fry doesn’t reveal the complete truth to the reader, he masterfully blurs the boundary between what is real and what is not, between the events surrounding Meg in her new life and location and the things her mind conceives because of grief and isolation. However, “Lurker” is not the exclusive ground of psychological horror, there are moments of tension, supernatural elements and grotesque images creeping in. There are things just outside the reader’s grasp making their presence felt. But as in the case of the thin veil separating reality and imaginary Gary Fry manages to reach a perfect balance between psychological and visual terror. None takes central stage while each has its role to play, together leaving behind a deep sense of uncertainty. 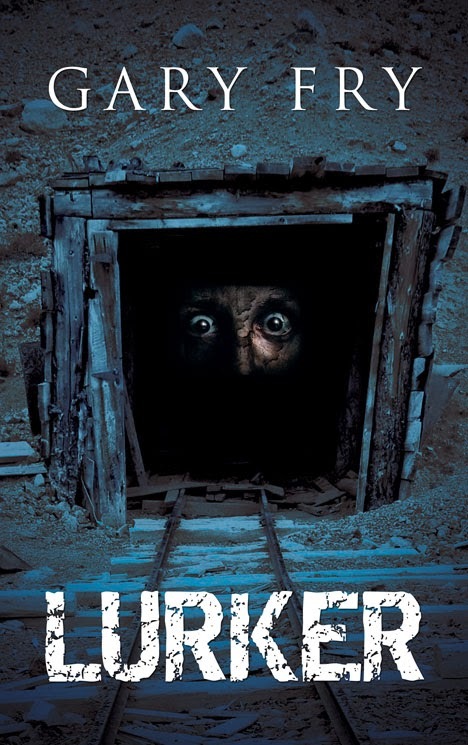 There is something to be found for all lovers of horror in Gary Fry’s “Lurker”, both the visceral terror and the subtle, thought provoking one have something to say.